Sifan Hassan was a dominant winner of the senior women’s race while Ali Kaya improved on his runner-up spot from last year to claim the senior men’s title at the European Cross Country Championships in Hyères, France, on Sunday. 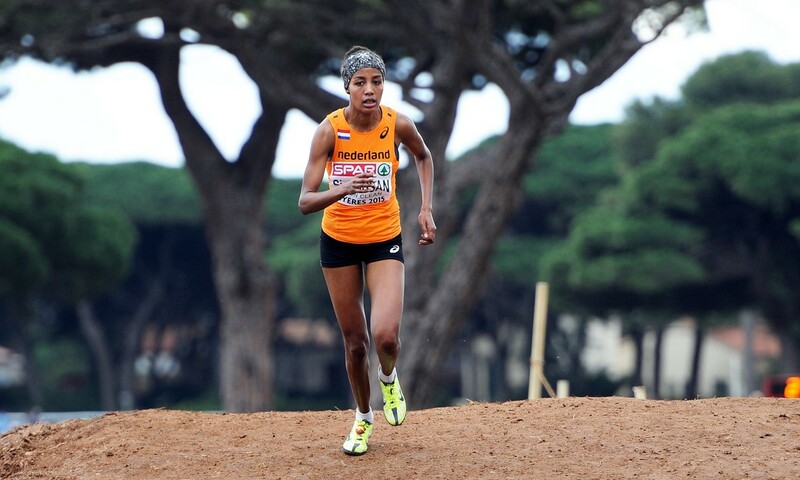 Further demonstrating her versatility, 22-year-old Hassan added victory over the 8.08km cross-country course to the European title she claimed over 1500m in 2014 and the world bronze won over that same track distance in Beijing this summer. The Dutch runner, who won the under-23 title in 2013 and like senior men’s winner Kaya would have still been young enough to contest for the under-23 title this year, wasted no time in working her way to the front and steadily increased her advantage. With around 2km to go it looked as though Britain’s Steph Twell and Kate Avery might be gaining on her after they broke away from the chase pack, but Hassan again picked up the pace. As Avery pushed on, Twell was caught by Norway’s Karoline Bjerkeli Grovdal, Ireland’s Fionnuala McCormack and Romania’s Ancuta Bobocel. Hassan crossed the line in 25:47 for an eight-second victory ahead of Avery, who secured her second consecutive silver after a battle with her team-mate Gemma Steel in Samokov last year. Bronze went to Grovdal as she denied two-time champion McCormack, who claimed her 2011 and 2012 titles when racing under her maiden name of Britton, another place on the podium. Twell, who suffered a serious ankle injury when running cross-country in 2011, continued her return to top form after a win on the Hyères course three weeks ago and finished sixth, two places ahead of last year’s champion Steel. Together with Lauren Howarth’s 17th place, 22nd for Sonia Samuels and 27th for Elle Vernon, it meant another set of team gold medals for GB’s senior women ahead of France, as McCormack led Ireland to team bronze. Over in the senior men’s race both Turkey’s Kaya and Spain’s Alemayehu Bezabeh demonstrated their winning intentions. Kaya, who finished as runner-up to his team-mate Polat Kemboi Arikan at this event last winter and claimed European 10,000m bronze on the track in 2014, won the junior Euro Cross title in Belgrade just two years ago in a race which saw this year’s under-23 winner Jonny Davies finish fourth. Bezabeh couldn’t respond when Kaya moved wide to start his final surge and the 21-year-old eventually enjoyed an 11-second victory. Bezabeh was 20 seconds clear of bronze medallist Adel Mechaal as Spanish athletes filled places two to five, France’s Florian Carvalho just splitting seventh-placer Roberto Alaiz from his team-mates. Team captain Tom Lancashire was best of the Brits as he finished 15th but was given the same time as his team-mate Ross Millington in 16th. With a 20th-place finish for Dewi Griffiths, 27th for Jonathan Taylor, 42nd for Adam Hickey and 56th for Jonathan Hay, Britain secured team bronze behind Spain and France, meaning every GB athlete leaves Hyères with a medal and Britain tops the medal table for the 13th consecutive year with three gold, four silver and two bronze. An online under-23 and junior race report can be found here.